Mega Sleek Conditioner is rated 4.4 out of 5 by 5. 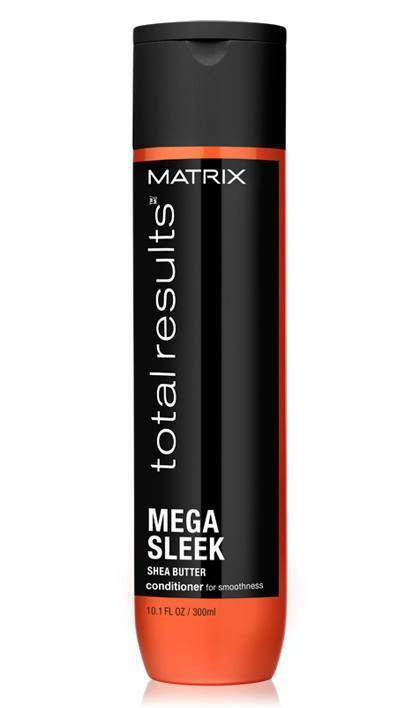 Share https://www.matrix.com/total-results/products/mega-sleek/mega-sleek-conditioner Mega Sleek Conditionerhttps://www.matrix.com/~/media/images/haircare/totalresults/mega sleek/total_results_mega_sleek_conditioner_tr-ms-c.jpg Conditions to help control rebellious, unruly hair and manages frizz against humidity. Rated 5 out of 5 by amanda14 from So Smooth! "Mega Sleek" is my absolute favorite! Switched to "So Long Damage" for a few washes and came right back to "Mega Sleek". I have long, naturally blonde hair and I love the detangling quality of this product. It leaves my hair so soft and smooth! Rated 2 out of 5 by tj123 from Where is the silk and wheat protein? Even I know as a true former Matrix user that this product definately needs the silk amino acids and wheat protein put back in this product. I can't say that it's totally bad, but it does moisturize to a point that my hair just pops when I run my hand or a brush through it. That usually means something is off balance. I have to combat it with the Redken Cat or Chi Keratin Mist. It helps somewhat. And then I have the issue with the residue it leaves behind as well. Not the cleanest feeling. Rated 5 out of 5 by DebP from Best Ever! I bought both shampoo & conditioner about a month ago, along with my usual brand. I absolutely LOVE this conditioner (it smells great too)!! I live in Florida where it gets very humid during the summer months, which means my hair tends to become coarse, brittle, frizzy and basically hard to manage. My hair is very thick and below my shoulders. When I use Matrix Total Results Sleek Conditioner my hair is soft and manageable. It feels awesome! I've experimented to know for sure whether it was the product or something else. Every time I've used something other than this conditioner, after a day my hair becomes hard to manage and just doesn't feel that great. Please....Please....Please DON'T ever change the formula!!! #Imsoldforlife!